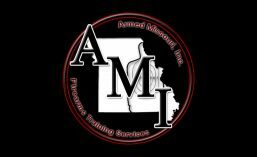 Blog | Armed Missouri, Inc. | Firearms Training Services – Concealed Carry, NRA, Defensive Pistol, Instructor Training, and more. Greg Ellifritz of Active Response Training has years of experience in the field of knife fighting. Much more than my very limited experience. That said, he has come to the same conclusion that I have come to understand. Folding knives are far less efficient than fixed blade knives. Take a look at his article and see his reasoning. …..Or “SIG guys”, or “Smith & Wesson guys”, or “XD guys”, or “Ruger guys”, or some kind of combination of all or some of the above. What Does it Take to get into Defensive Shooting? I am often asked by beginning shooters what it takes to get into defensive shooting. Many, it seems, are under the impression that the techniques needed in a defensive situation are somehow more advanced and more complex than those typically needed for basic marksmanship. In truth, these defensive shooting skills are not more difficult to learn. The same amount of time and energy is needed to set them into neural pathways. In fact, some of these skills are less complicated than those used in marksmanship shooting. Learning to use the sights on a gun is a relatively complicated skill. Kinesthetically orienting the gun toward the target is much more natural (you point at things every day) and, therefore, easier to learn. I want to apologize in advance to those of you reading this. This is a pretty long post. I was trying to capture both the basics of the material, which was all new to me, as well as how this kind of training had affected me both physically and mentally.